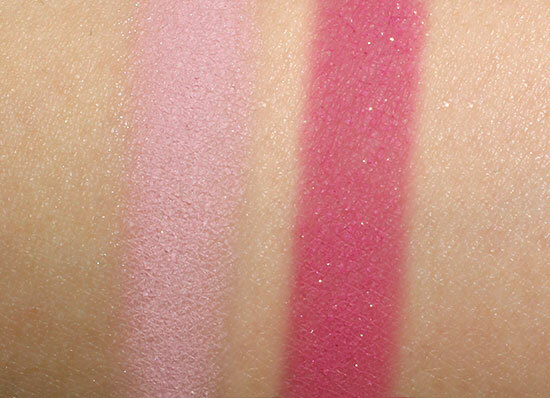 Also new from the NARS Spring 2013 Collection is Bouthan Duo Eyeshadow, a gorgeous duo of pinks. 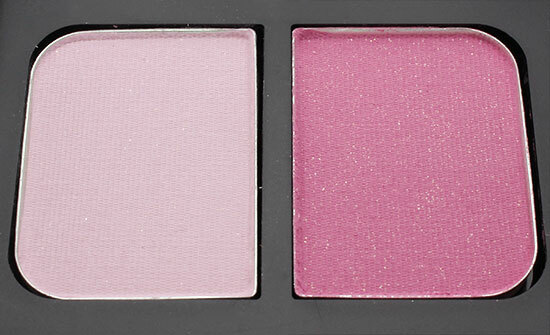 Described as a “soft pink tulle”, the left shade is a cool-based milky pink with matte finish. It showed up slightly warmer on my NC30 skin but might look ashy on darker skintones. The shadow applied a bit chalky but with decent pigmentation. The right shade is a matte hot pink with gold shimmer. Although the color is gorgeous, the texture was not the easiest to work with. 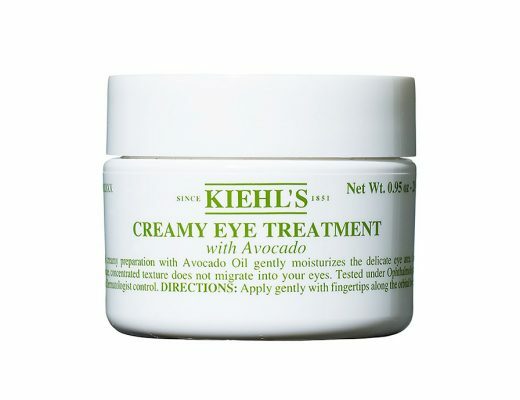 It felt dry, stiff and applied semi-sheer. I also had a problem with the glitter, which seemed to move EVERYWHERE and even onto the other pan. The wear could have been better as well. Without a primer underneath, both colors faded easily in just a couple hours. 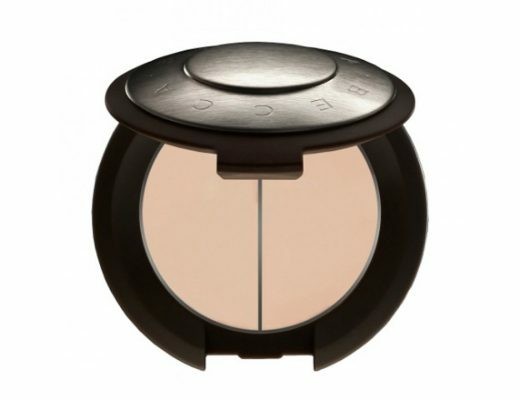 All in all, NARS Bouthan Duo Eyeshadow is a beautiful duo that will work on fair to medium skintones. 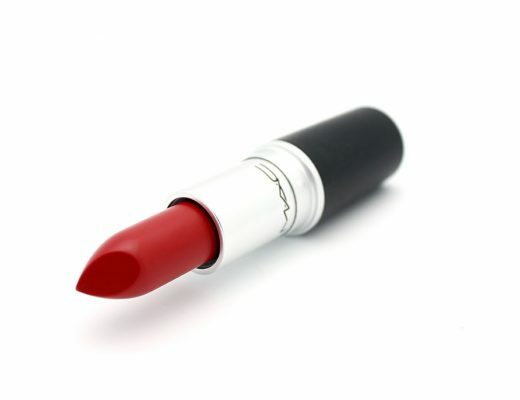 However, I can’t say the quality is NARS’ best and a primer is a must to make it work. 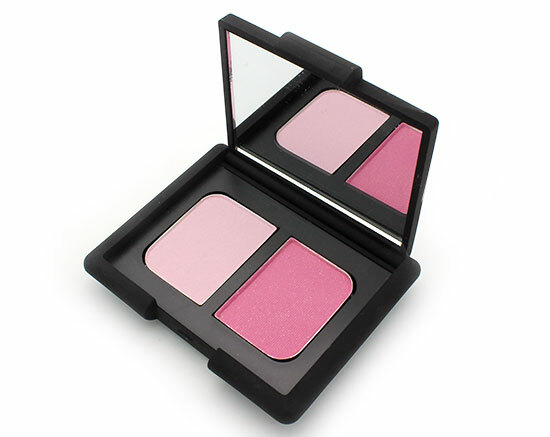 NARS Bouthan Duo Eyeshadow is available at narscosmetics.com, Nordstrom and Sephora for $35.